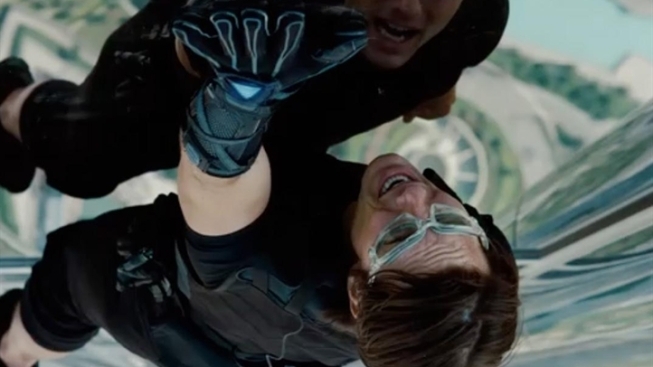 Director Brad Bird has made some of the best animated films of the last 15 years, but "Mission: Impossible - Ghost Protocol" is his first live-action effort, and the man understandably wants folks to see his creation in all its glory. To that end, he's convinced the studio to open the film in 200 IMAX theaters five days before the film's previously announced Dec. 21 release. "I wanted the first people that see the film to see it big with a sharp image and great sound systems, so when they went out and talked about the movie they saw, we would know that they had seen it at its best," Bird told Hero Complex. If you've seen a film in IMAX, you know what he's talking about, and he went on to make some interesting points about the merits of IMAX to 3D. "I agree that added depth perception is immersive, but you dim the image down and now I’m taking a step back. You put on glasses and now I’m taking another step back," said Bird. And if you're one of those poor four-eyed losers (guilty) who tries watching a film in 3D with glasses on over your glasses, the experience is even worse. Bird's absolutely right about the glory of a big screen. For decades, the rise of the multiplex was bringing us more and more teeny-tiny screens, which for a lot of films is fine--there's no reason to see "Bridesmaids" on a 50-foot screen--but for a film with aspirations the likes of "Ghost Protocol," IMAX really is the way to go. And no one's gonna suddenly decide to charge you for the glasses.